In markets with an excess of office space, developers may find opportunities in the redevelopment of existing office buildings-particularly older buildings in secondary locations, which often can be acquired at lower costs than better-located, newer buildings in the same market. R&D and other specialized workspaces-buildings designed, built, and managed for specialized uses such as biotech or high-tech R&D or the manufacture of computer, pharmaceutical, or similar products. The developers and owners of industrial space are mainly private partnerships and companies, REITs, and opportunity funds. They may be local firms specializing in a particular geographic market or national companies that operate in markets across the country. They may partner with institutions or other capital sources in joint ventures. Industrial property is built either on a speculative basis or on a build-to-suit basis for specific corporate or business clients. Compared with most other kinds of property, industrial space can be constructed in a short amount of time, so industrial developers can sell or lease their buildings more quickly and adapt more quickly to changes in market demand and economic cycles. Also, the cost of building, buying, and managing industrial properties is often lower than for other types of real estate. Although industrial development can be accomplished comparatively quickly and economically, it still requires detailed market, economic, and feasibility analyses. Industrial developers must determine the best location for a project, the demand for space, the type of product to be built, who are the prospective tenants (and whether to seek a build-to-suit client or to build on spec), the supply of space and vacancy rates in the market, the competing properties, and so on. Site selection is particularly important; access to freeways, arterials, and rail transportation is often a key determinant of a project's success. 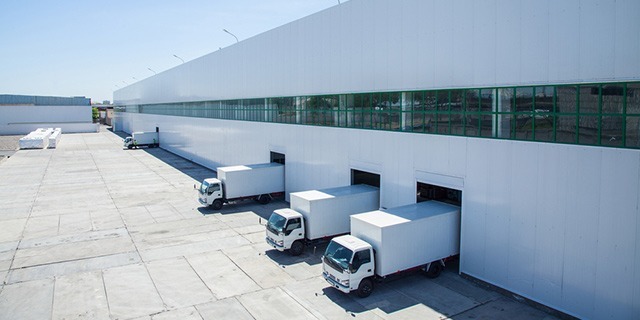 Industrial developers concern themselves with local retail sales as well, since retail sales are an indicator of demand for warehouse and distribution space for consumer goods.